Compact but full of ‘wow’ factor, the Piccolo® really performs above its weight when it comes to making great coffee. Its manual lever means you can choose the amount of water you desire, allowing you to make your drink just the way you like it. Even better, its maximum 15-bar pump pressure ensures a coffee shop quality result each time, creating the attractive crema on top of your coffee. Great drinks in a chic and stylish package? Yes please! Like all our pod coffee machines, the Piccolo® is easy to clean and easy to use – just choose one of our tasty coffee pods, pop it in, and away you go. Its quick heat-up time means it’s easy to create coffee without loads of fuss, and as the coffee grounds stay right in the pod there’s no mess to deal with afterwards. From Americanos to Espressos, Chococinos® to Marrakesh Style Tea, the Piccolo® coffee machine in black won’t disappoint when it comes to crafting your dream drink. If you want to take your experience to next level, why not try pairing with some of our stylish and functional accessories, such as our pod dispensers, for extra ease? With so many coffee capsules and machines available in supermarkets and loads more exclusively online, there’s plenty to explore. So go on – start your NESCAFÉ® Dolce Gusto® adventure today! 1 year on, still going strong! Having had the machine for just over a year, it's safe to say that it is the best appliance in the kitchen. Being a coffee lover it was a hard choice getting the right machine, this has been perfect, the coffee tastes so much better than the rivals! Have always been a Nescafè drinker (Gold usually) this has been the perfect upgrade. Easy to use, easy to maintain, get one! I have never been much of a coffee drinker until I got this for a Christmas present. I have tried the grande, Preludio and americano and can safely say I love them all. My favourite is a mocha or a lemon tea. Had to order the bigger water tank for it as all the family have been using it as well. The first few times, the drinks weren’t as warm as they should be. However, I realised that if you leave it for a few minutes after the green light comes on, the drinks are a lot hotter. Also found that using the Dolce Gusto timer helps when using 2 pod drinks. Would thoroughly recommend. 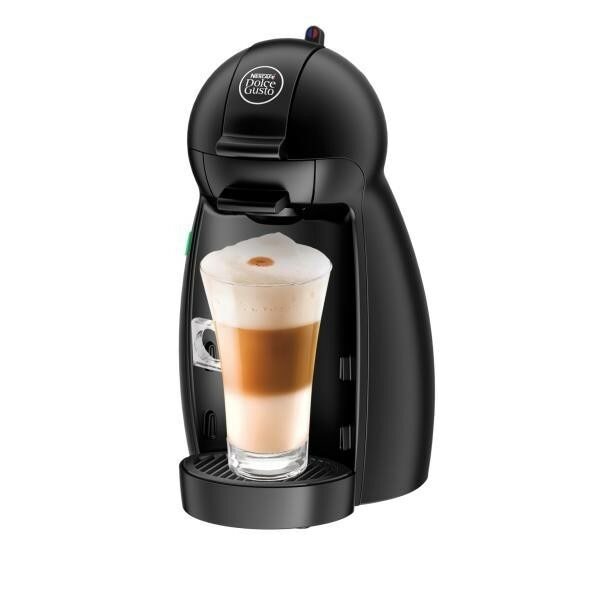 I have a Tassimo at home which I love both the machine and the coffee, I am opening a new studio so I decided I would get a coffee machine for the studio. I brought a Nescafe Dolce Gusto expecting to be as good as my Tassimo. 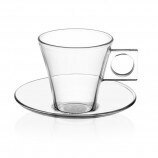 I have to say I am very disappointed, the water holder is so small it needs filling after just two cups, the drinks are far from hot, so cold I can drink a coffee in one go. There is no cut off, so it you are not looking it’s very easy to over fill, and because there is no cut of the coffee can be weak, and the pods are a £1.00 more than the Tassimo. Overall I am very disappointed with the Nescafe Dolce Gusto, so I will soon replace it with a Tassimo. I was a tea drinker but my husband loves coffee so we bought one of these last year. I tried it and love it as much as my husband does now. It's quick and easy. The variety of coffee is great too. Really good little coffee machine!!! If you can’t go to the coffe shop, bring the coffee shop taste home!!! Brilliant!!!!!!! I bought this a year or so ago, used at our caravan so not every day. Plate behind pod holder has rusted and it now leaks everywhere. I would not recommend this particular machine, waste of £90. Got this as a 60th birthday present and i am really greatful for it,makes fab coffee and very enjoyable at any time of the day or night a fantastic gift.